Pamela Andreatta, a medical educator at the University of Michigan Medical School, knows all about how people learn. And lately, she’s been spending a lot of time scrutinizing how residents are taught to do minimally invasive surgery. while there are surgical simulators on the market, including high-tech digital systems offering a virtual reality, she believes the skills crucial to laparoscopic surgery might be better taught with something as simple as a clementine. 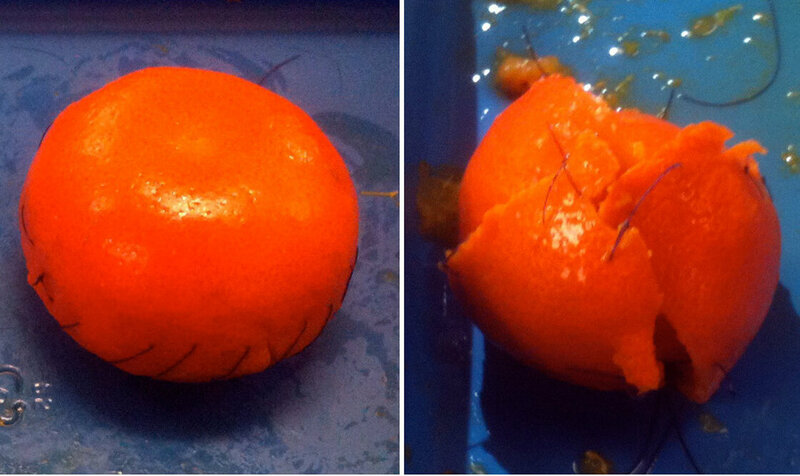 In all, 41 people dissected clementines. The minimally invasive surgery specialists scored the highest, by far. Residents and nonsurgical faculty scored significantly lower. Medical students, with little or no surgical experience, fared worst. The results, Andreatta says, confirm that the clementine is a suitable model for training. Faculty surgeons backed up that assertion, remarking on the similarities between the simulation and actual surgery. Andreatta has developed for teaching minimally invasive surgery. Another uses colorful foam shapes purchased from a craft store.